The IBM Global CEO study identified the number one skill needed by global CEOs as collaboration. Another just-released report from the American Management Association had collaboration among the top four skills. Both the CPA Vision 2011 Report and the more recent CPA Horizons 2025 Report had collaboration and synthesis in the top five competencies needed by CPAs for the future. Build relationships and networks that lead to trust. Turn human interactions into results. Balance decision-making and consensus building. 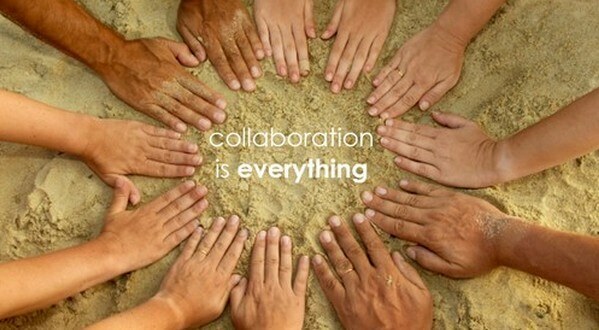 Evolve the culture for productive collaboration. In order to innovate, we have to connect and collaborate, and sometimes that can only happen in person. At the MACPA, we are working on increasing the ability of our members to connect and collaborate by integrating high-tech and high-touch. We’re exploring new technologies that increase engagement and participation with real-life and live events that we think can harness the collective power of our entire membership. Imagine what can be accomplished if we can connect the minds of our 9,000-plus CPAs? What problems could we solve or innovations could we create? It all starts at our MACPA Innovation Summit on May 17, where we will use social media and four new technologies – ThinkTank by Group Systems, Conferences.IO, Flybits (location aware services), and our own MACPA Groups – to connect the top thought leaders in the CPA profession, top technology providers, learning leaders, and our diverse membership in a safe environment to learn and explore innovation together. We are holding a special free social media quick start session (Tuesday, April 30, from noon to 1 p.m. EST) for our members to teach them how to use Twitter and social media to learn, connect and collaborate, using the Summit as an example (#MDSUMMIT13). We will be producing a comprehensive social media guide with all of the “handles” of our speakers and sponsors. And onsite use of our exciting new collabroative technologies to give our members the tools for ongoing collaboration and innovation in an intimate environment that also encourages critical face to face connections. Where else can you be with 13 of the top thought leaders in the CPA profession, the leading national editors (AccountingWeb, Accounting Today, CPA Practice Advisor, Going Concern), the top executives from the leading software providers in our industry (Sage, CCH, CPA2Biz, Ziptr, Simplified Innovations plus 25 more), and the “Top Gun” instructors from the Business Learning Institute, all in an environment of collaboration and innovation? Join us at our Innovation Summit on May 17 to connect, collaborate and innovate!